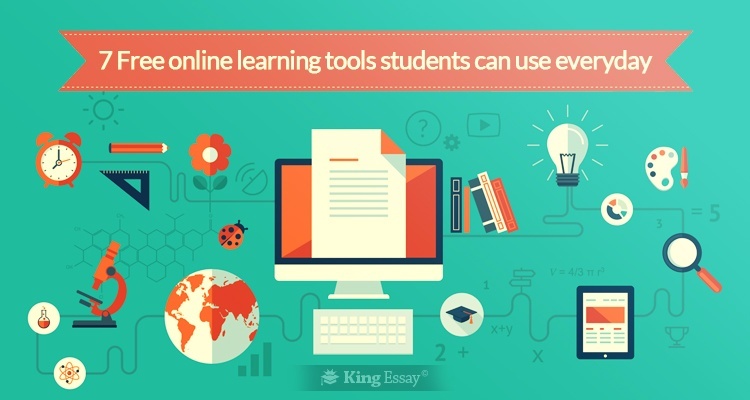 Believe it or not, the internet has become a huge resource for students learning new skills. There was a time when society was sceptical of the practical implications of the internet as far as learning was concerned. But now it has become a dependable and reliable tool which is here to stay. Instead of getting help with my homework from neighbours and friends, students can easily find the solutions to their academic quandaries online. The internet has slowly sneaked in to academic institutes and colleges as well. Expressions like the flipped classroom, blended learning and even distance learning did not exist prior to the advent of the internet. This method of learning maximises the teacher’s classroom time to administer one-on-one learning. Scholars review the contents and resources administered to them by their instructors and teachers in their own time and apply that learning in the classroom setting. It is up to the teacher’s discretion to recommend children homework on which resources to refer before coming to the next class. Once they enter the classroom the teacher can use that valuable time to expand on the knowledge gained from those resources. The instructor can administer one-on-one attention to each individual in the classroom to ensure the best learning. The following are free online learning tools which apply to the flipped classroom. Blended learning is the combination of face-to-face teaching integrated with online resources administered in class. Learners are guided both by the staff and the online curriculum implemented in class to produce a unique conjunction for the learning process. Blended learning is subject to much debate as it requires much less physical interaction with the educators actually present in the classroom. The lecturers can easily observe each child’s progress and intervene to help others if they deem necessary to suggest remediation or acceleration depending on the learner’s performance and capabilities. The blended learning experience requires institutes to have the necessary equipment to administer the course. TEDEd: Students can find elaborate articles based on the topics which they need to research. Information explaining concepts in an easy to understand approach pertaining to primary homework subjects which are new or confusing to students can also be found here. This is one of the most best online learning tools with the most comprehensive information. PowToon: This is a powerful tool which can be used both by teachers, students and even the general public. Teachers can use it by creating videos to explain vital course contents designed for a specific audience. Students can use it to create presentations including both audio and visual effects in the demonstration. TeachingChannel: This is a comprehensive tool for students to gain knowledge pertaining to any topic explained in the most easy to understand way. In some cases, the topics will be elaborated upon from the introduction all the way to the completion of the extensive course matter. Quizlet: This website can be used to assess your skills on a certain subject and gain more insight in to the subject if necessary. This caters to learners of all different levels and stages. Teachers can even use Quizlet to create different assessments and explanations based on customised topics. Arcademics: This website incorporates academic concepts into arcade games. Students can enjoy playing academic games all by themselves or with a group of friends. Playing these academic games will help students enhance their scholastic skills in a competitive and enjoyable way. Free Rice: Students can choose from a wide variety of subjects. This internet site will donate an amount of rice for every right answer you get from the questions being asked pertaining to your subject of study. It will also inform you the answer to your incorrect questions so you can rectify your knowledge. Khan Academy: This has one of the easiest to understand interfaces with comprehensive information on all subjects. It is completely free and aids student learning in a successive pattern. It can be used to understand completely new concepts. The media is organised so that users can easily navigate from one topic to the next once they become proficient.